Bake chicken breast according to package directions. Remove chicken from oven and cut into strips. Place salad greens on a serving plate. Lightly coat greens with ⅓ of the dressing. 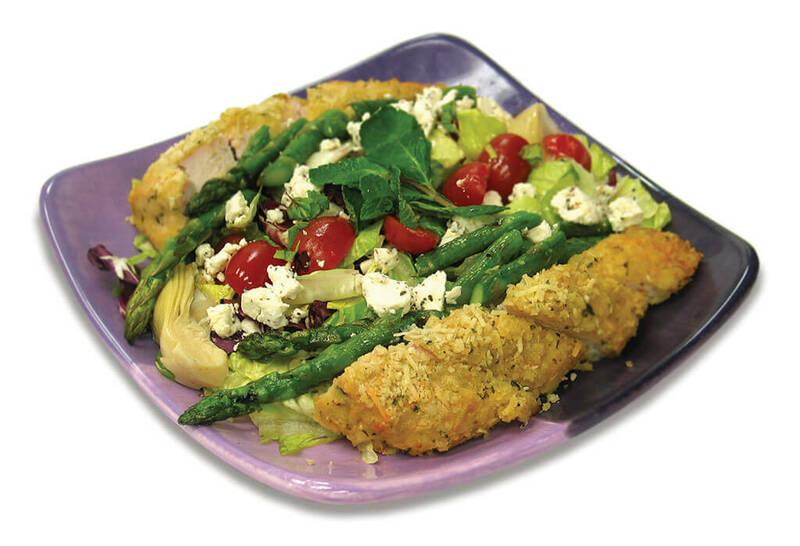 Arrange the cooked chicken, asparagus, tomatoes, artichokes, feta cheese and oregano on top of the salad. Lightly coat the top of the salad with the remainder of the dressing.